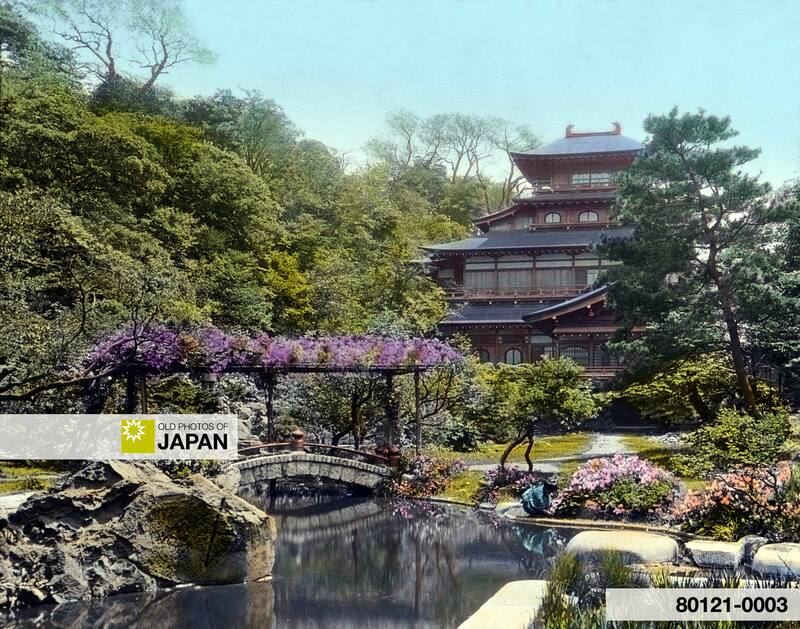 A very large private garden in Tokyo, featuring a pond, a stone bridge and an almost exotic looking building. You can also licence this image online: 80121-0003 @ MeijiShowa.com. Where is this? It is an amazing picture. The gardens and house look beautiful. My guess is it is an old Feudal Domain residence. It is somewhere in Tokyo. It doesn’t really look like what old feudal domain residences looked like, and it dates from 1924 when no feudal domain residences were left standing in Tokyo. It is more like the house of a rich merchant.